Matters of regional security were discussed at the Regional Security System’s (RSS) Security Chiefs Meeting which was held today. 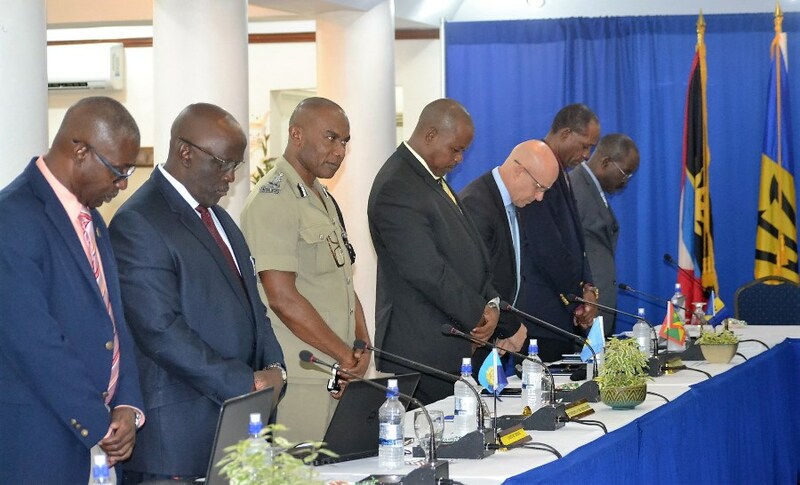 The meeting was staged at the Beachcombers Hotel in St. Vincent and the Grenadines and was attended by senior law enforcement officials from Antigua and Barbuda, Barbados, Dominica, Grenada, St. Kitts and Nevis, St. Lucia and St. Vincent and the Grenadines. Chairman of the session Commissioner of the St. Vincent and the Grenadines Police Force, Mr. Colin John, praised the work of the RSS and noted that the meeting would be beneficial to the development of the RSS Member States. “We are seeing practical benefits as a result of our cooperation, and out of this meeting, it is my fervent hope that the successes we are reaping will be even greater and that it will impact more on the region by making it safer for our various countries and the region,” the Commissioner stated. Among the topics addressed during the meeting were Law Enforcement Capacity in the RSS Member States; Strategies to Combat Transnational Organised Crime in RSS Member States; and National Maritime Strategies. The Security Chiefs Meeting precedes the RSS Council of Ministers Meeting where RSS Chairman, Prime Minister of St. Vincent and the Grenadines Dr. Ralph Gonsalves, and his regional counterparts, will gather to continue the discussions on critical regional security issues. Two Memoranda of Understanding will also be signed at the meeting. Lieutenant Commander Brian W Roberts MSc. 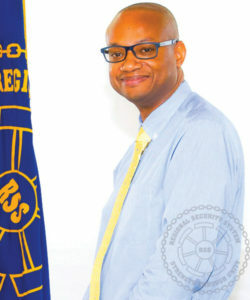 Lieutenant Commander Brian Roberts joined the RSS HQ in 2012 as the Regional Maritime Officer, after twenty-eight (28) years of military service in the Barbados Defence Force. His military career provided him with the opportunity to serve in several command and administrative appointments, both in the Land Forces and the Barbados Coast Guard. 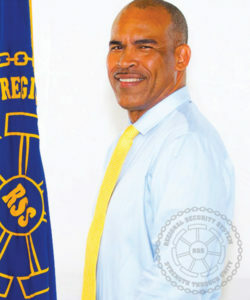 During this period, he acquired professional competencies in defence and security matters through extensive operations and training within the Caribbean, the USA, Canada and the UK. 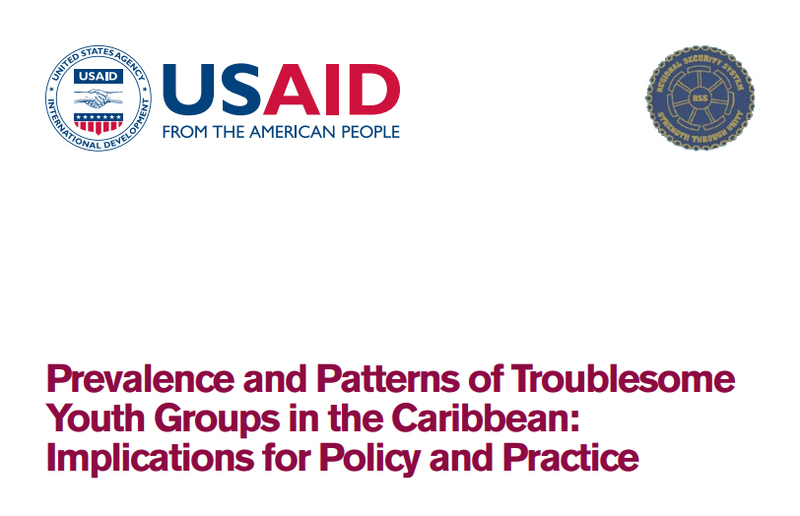 He brought Regional Security System Headquarters a wealth of experience and very good understanding of the vulnerability and multi-dimensional security challenges facing the Caribbean Small Islands Developing States. This experience enabled him as Regional Maritime Officer to implement several training and operational initiatives for the enhancement of maritime cooperation in the Sub-region while contributing directly to the strategic security frameworks for regional inter-agency cooperation. Lieutenant Commander Roberts was appointed Director of Training in October 2016 where he is team leader for the general administrative direction of RSS Training Institute in fulfilling its vision of “Building a foundation of excellence through standardized training”. His career was supplemented by multi-disciplinary security education and training conducted in multi-cultural environments, which enabled him to maintain a balance between his military and academic development. In this regard, he holds a Master of Science Degree in National Security and Strategic Studies from the University of the West Indies (UWI) Mona, Jamaica. He also holds an Executive Diploma in Management, Cave Hill School of Business, (UWI) Cave Hill Barbados and a Certificate in Port Administration, Maritime Logistics and Shipping Business from the Caribbean Maritime Institute in Jamaica. He is also a graduate of the William J Perry Centre for Hemispheric Defence Studies, National Defence University, Washington DC. and a graduate of the prestigious Caribbean Leadership Development Programme. Lieutenant Commander Roberts is the recipient of the Service Medal of Honour for meritorious service, the Regional Security System Service Medal and the General Service Medal for service in Grenada. He also was awarded the Defence Board commendation for outstanding service rendered during Cricket World Cup 2007. His vision is for the development of adequate expertise in the security forces of the RSS Member States through the provision of capacity building programmes which are evidence based. This, he thinks, is a critical enabler for the maintenance of the RSS mission. This course is designed for persons who are likely to be deployed in command of an RSS Task Force or as part of a Joint Staff Headquarters. It is designed to prepare Police Officers to perform Staff functions of a general nature that are appropriate to their ranks and to provide the foundation for their subsequent professional development. It is also designed to further develop the management and operational command skills of potential Senior Police Officer and to provide transferable academic and research knowledge and skills, to officers who may wish to further their academic development. Solve problems logically, make decisions, recommendations and to conduct effective oral and written communication. Understand and apply the functions of Command and Staff work of the RSS Headquarters. To develop operational command skills. Understand and apply the principle techniques and doctrine of joint military and police operations. Prior to that, Grenville functioned for a decade at the St. Vincent and The Grenadines Financial Investigations Unit (SVGFIU). Eight of those years were spent as Director where under his leadership the SVGFIU became internationally recognized as a centre of excellence in financial investigations related to Proceeds of Crime and the recovery of assets. He provides training and expert advice at numerous compliance and money laundering engagements worldwide in places such as Taiwan, Washington DC, Brazil, Jamaica, Barbados and the OECS. Grenville is an Attorney-at-law and obtained his Bachelors of Laws Degree from the University of the West Indies and Legal Education Certificate from the Hugh Wooding Law School. He holds a Masters of Law (LLM) with specialization in Banking and Finance from the University of London and a Post-graduate diploma in Compliance from the International Compliance Association. He is a trained CFATF mutual evaluation examiner and a member of the Association of Certified Anti-money Laundering Specialist (ACAMS). Additionally, he is a St. Vincent and the Grenadines National/Island Scholar.